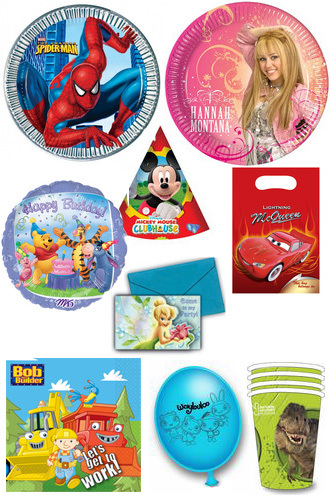 Say goodbye to traipsing around shops - we have access to hundreds of licenced partyware featuring all the most popular characters and themes. From invitations, banners and tableware to balloons and going home presents, we'll get you everything you need without leaving home! We can provide all the necessary partyware including: Drinking Cups / Napkins / Plates / Tablecovers / Loot Bags / Invites / Balloons / Party Hats / Banners. Reserve your favourite characters now by calling Adam Ants on 0208 959 1045. All major credit cards taken over the phone. Please mention this website when you call.